Shortly after marrying Bella Rosenfeld in July 1915, Chagall embarked on a series of wedding portraits that continued until his wife’s premature death from a viral infection in 1944. 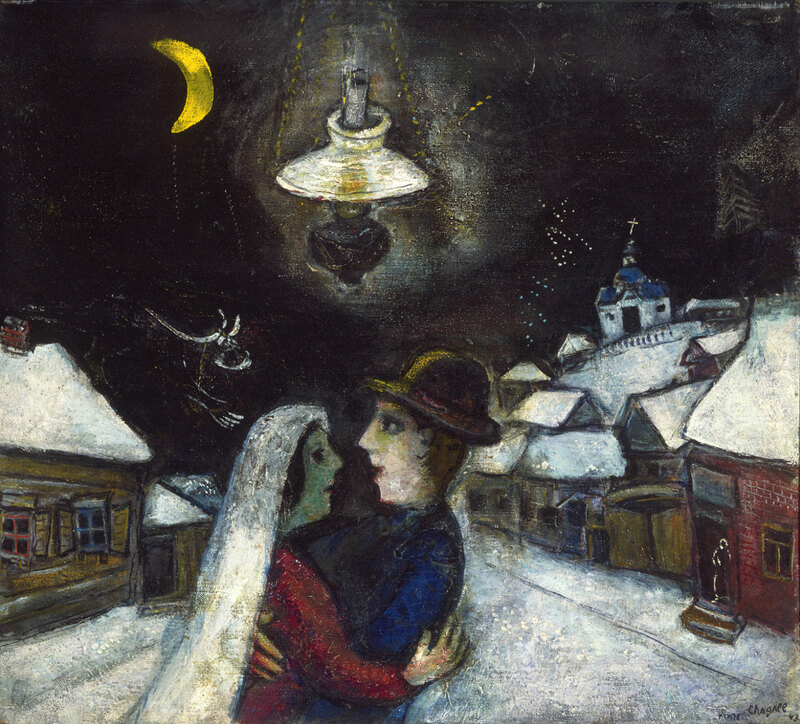 In the Night, which depicts the newlyweds embracing in a nocturnal scene of Vitebsk, was painted from memory in 1943. Chagall’s depiction of his hometown also includes a whimsical floating cow, barely outlined in the black night sky, and a hanging lamp. The conflation of these interior and exterior elements allows Chagall and Bella to inhabit their own world, where their experience of each other brings back their shared memories of their years together.